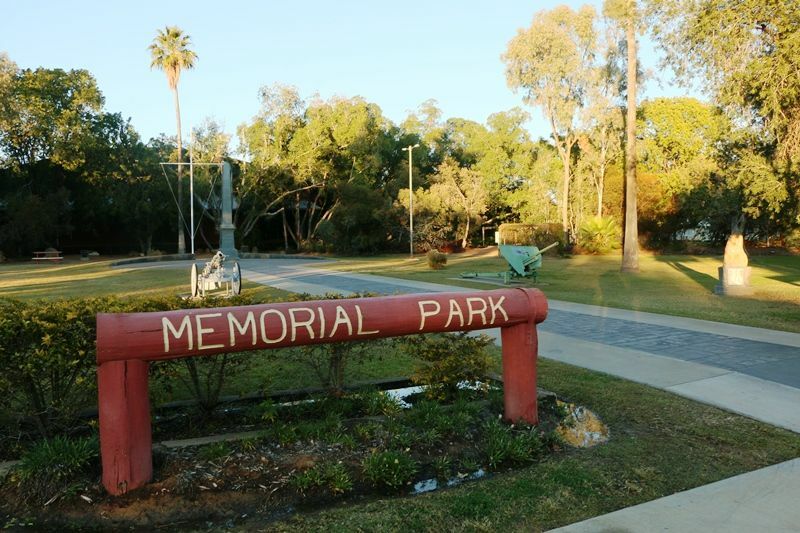 Blackall Memorial Park commemorates those who served in World War One. 'Thornleigh' is the original Hart family property located west of Blackall. This rock was selected by the family to create a permanent link between 'Thornleigh' and the Memorial Park. This plaque is a token of appreciation by the citizens of Blackall and district to John Henry Hart of Springfield, Blackall for his presentation of the land on which this park is situated. Mr Hart who was a councillor from Feby 1901 to Decr 1913 vested this land in the council as trustees in 1925 for the purposes of establishing thereon a War Memorial Park.